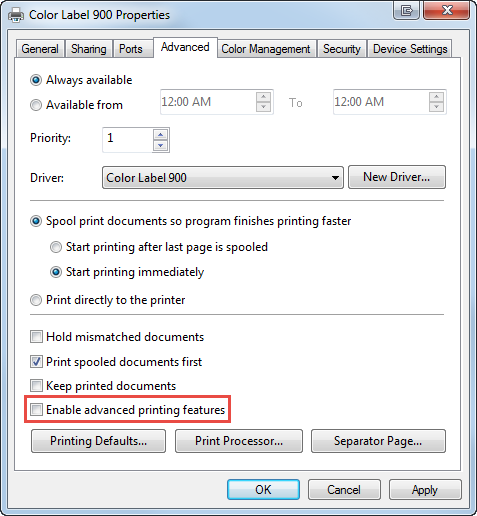 LX900 resets / turns off and back on if multiple different print jobs are sent to the printer at the same time. 4. Go to the Advanced Tab. 6. Repeat for all LX900 drivers installed on the computer.